Walking or Running; Which One is the Best? Aerobic exercises are growing in popularity every day. In New Port Richey and even other parts of the world, nearly every magazine stand has cover pictures of people running, cycling, walking or doing other forms of aerobic exercises. But one question most people have is if walking is good enough to be totally relied on. The greatest advantage of walking is that you can do it both indoors and outdoors. Ideally, you can easily incorporate it into a routine that includes balance training, stretching, strengthening, and high-intensity interval training (HIIT), among others. Walking may not be as adorable as other forms of exercises, but scientific evidence continues to demonstrate the benefits of walking in comparison to other more physically demanding activities. Luckily, people from across the globe, including residents of New Port Richey, are finding walking more beneficial and fun. Reports released by the Centers for Disease Control and Prevention state that from 2005 – 2010, 20 million more people embraced the habit of walking for at least 10 minutes every week. Going by that statement, such cities as New York, Boston, Chicago, and Cleveland, among others transformed their ever-busy traffic routes into pedestrian-friendly pathways. Moreover, more and more people are changing from the habit of walking as a sport or separate activity to initiate the habit of walking as a necessity where you walk when going to work, school, shops, grocery or any other place you could simply drive to. 2. Stimulates energy, and this is really important when you are from eating a couple of hours ago, since your blood sugar levels will drop. 3. Lifts our spirits: Walking for just 10 minutes will boost your mood for 2 hours! 6. Can reduce cancer risk: If one has colorectal cancer but walks for 6 hours or more every week, that person is 60-percent less likely to succumb to the disease compared to sedentary patients. 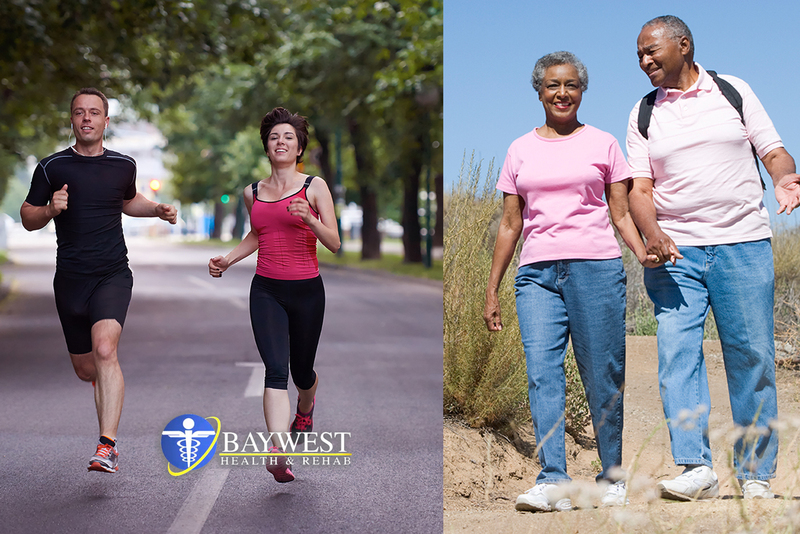 Ideally, a woman who walks for 1 hour every day has a 14-percent chance of escaping the onset of breast cancer. If you want a more intense exercise effect, then it’s best to consider performing interspersing short, intense bursts of high-intensity activity for a limited time period; it has been proven to add extra health benefits. For instance, walk for 5 minutes at a leisurely pace (i.e. walking at a speed of 2.5 – 3mph on a treadmill), and then walk for another 5 minutes at a brisk pace (3 – 3.6 miles/hour) i.e. as if you are late for an appointment. Lastly, walk for 30 seconds but this time extremely fast with speeds up to 4.5mph. After all these, do the inverse and try to increase the sets gradually as you are able to. Walking can be done in numerous ways, and today, most routes in towns like New Port Richey have pedestrian-friendly pathways where you can walk anyhow as long as you are not messing with other pedestrians. Walking, running or mixing the two up does not matter; what matters is they make you live a longer, happier life. In other words, they are all beneficial and none outweigh the other.